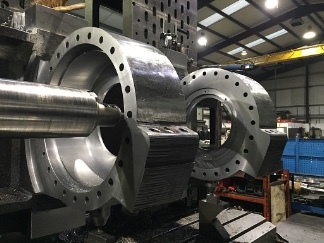 We are a leading provider of large heavy Subcontract CNC and conventional Engineering Machining. 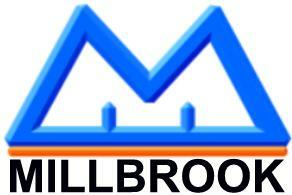 We also supply New & Used Machine Tools Sales, Spares and Service. Large machining up to 10 tonnes, 3m (10ft) diameter or cubed. Big machining, heavy machining, large milling, large boring, large vertical boring, CNC machining and conventional (manual) machining. 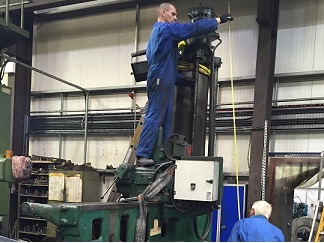 We specialise in Large Horizontal Boring, Vertical Boring, Vertical Turning, Horizontal Turning and CNC Milling. Our machine shop is situated in Clay Cross, Chesterfield, Derbyshire, UK, very close to junction 29 of the M1 motorway. We are ideally placed to provide the whole of the UK with our services. In 2001 we took over the business of William Watts Ltd in order to provide New & Used Machine Tool Sales, Machine Tool Service, Machine Tool Spares and Machine Protection Equipment. 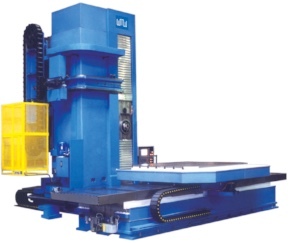 William Watts agencies included: Union Horizontal Boring and Milling Machines; Heckert Milling machines; Erfurt Grinding Machines; Paragon Grinding Machine; Equiptop Grinders; Jaobsen Surface Ginding Machines; WMW Machines and Gioria Universal Cylindrical Grinding Machines.